To read the full article, visit NewsBusters. 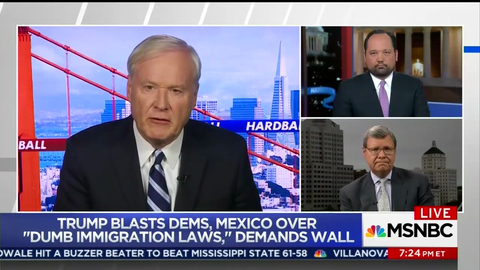 On Monday, political commentator Charlie Sykes made a guest appearance on MSNBC's Hardball With Chris Matthews, wherein he disparaged both President Trump and his base. Among his bolder assertions was the claim that the President's base didn't care "whether he actually accomplishes anything," so long as they saw him "fighting."